When word spread this summer that Halo: Anniversary would include Kinect support, gamers fidgeted nervously, wondering just what the hell 343 Industries had in mind for the franchise. Calm down, they're not introducing motion control to the HD remake. They're letting you switch between the game's high-definition and standard-definition graphics using your voice. 343 was trying to keep the functionality under wraps but the development director Frank O'Connor told 1Up that someone accidentally blurted out the magic words during another demonstration. The words are "Classic" (for low-def) and "remastered" (for HD). O'Connor said "there is some other functionality that we haven't talked about that is not core to the gameplay," that has yet to be revealed. 343 will probably discuss it sometime in October. "We dont want to oversell it," he said. 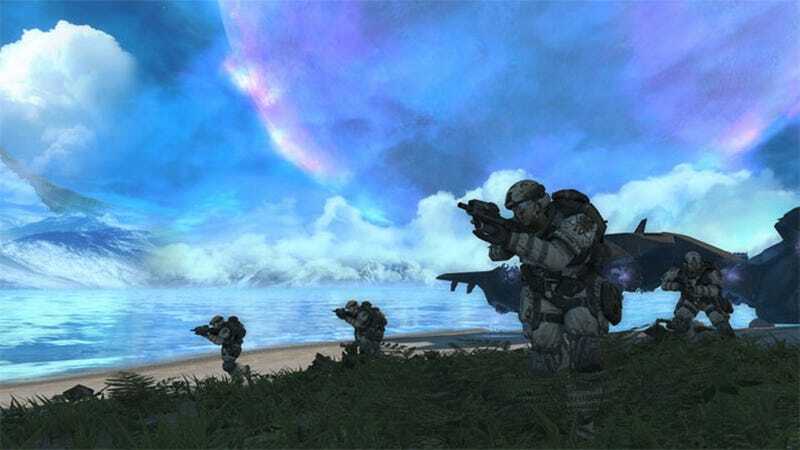 For more on the Halo: Anniversary high-definition remake of Halo: Combat Evolved see Luke Plunkett's impressions from Tokyo Games Show 2011.